This is an unconventional post. I’m not going to do a book review, a best books list, or even blab on and on about some fascinating aspect of writing or artisanal publishing. I am going to do something I do only once in a long while, and that is craft a post around an announcement. Usually, it means one of my books has just come out or is about to. This time, it means I am in the middle of a Kickstarter campaign (and if you didn’t know that, you haven’t visited in awhile). 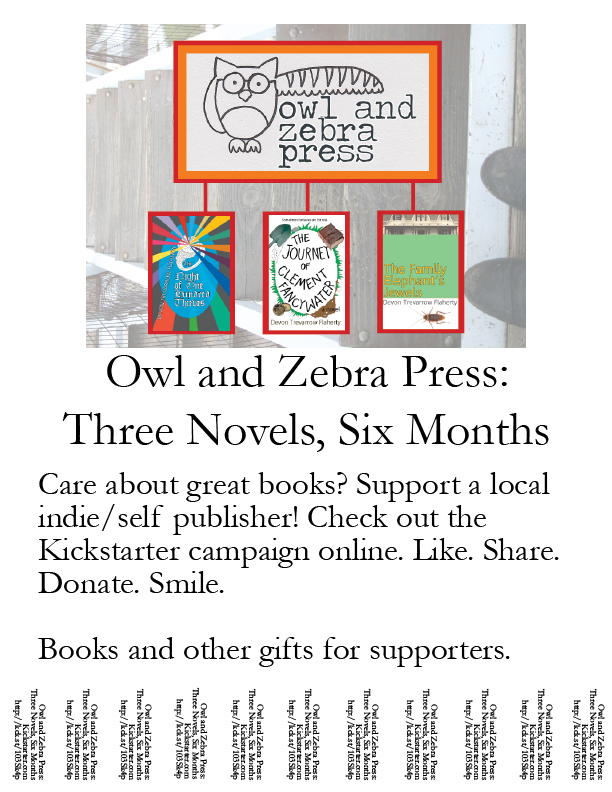 SEE HERE for Owl and Zebra Press: Three Novels, Six Months. So here’s the pitch: I need publicity. I need my friends and followers to share with their friends and followers. Therefore, I am willing to reciprocate with other bloggers and website hosts for those things. I can guest blog, interview, offer a give away, or just appear. You just have to share about my Kickstarter campaign, encouraging others to go there and consider donating. (If you don’t have a blog, say, you can just share, share, share 😉 ). 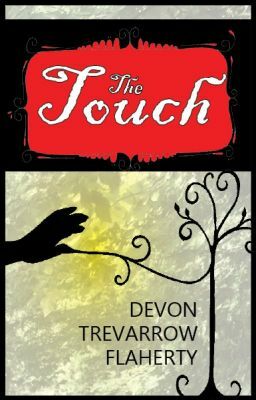 If you are interested, just comment below, or email me at contact@devontrevarrowflaherty.com. And here’s how you can get something from reading even this entry: Do you have a blog? You want more readers? More followers? The key is to read, comment, and ask. Read other blogs. Search for ones that have similar topics and would attract the same audience you are looking for. Comment on those blogs. Leave only real and sincere comments, but leave them often. Don’t try to sell anything in your comments. Approach those bloggers (and others like them) with a friendly email, when you are willing to trade work for publicity. When I have a book coming out, I offer a free copy of the book for a review (but only at weblogs that state they are open to solicited reviews). At this time, I am offering to provide original content for them. Fortunately or unfortunately, readers don’t just start flocking in when you begin a blog. But if you have something to say, something useful or inspirational, use other blogs and websites to build a network. It becomes a sort of spiderweb of connection and, on a day when you write a real stinker, you’ll be able to rebound.